I received a friendly email recently, which included several questions. As I was responding to those questions... I decided to upload the conversation (and my resulting answers/research) for everyone. I invested considerable time on my response(s)... and figured others might enjoy the subject matter, as well. "I just found your Manson blog and spent a ton of time going through it. I also like your musical references. I’m a HUGE Gary Rossington fan, love his playing. I’ve also always been interested in musicians who met Manson. Neil Young and Dennis Wilson, obviously. I understand that the family did a full recording session (not Lie) at Brian Wilson’s home studio, produced by Carl and Brian, so I’m morally sure that they were in a room with the family for at least a day. There may be tapes from that session, but no one will admit it. The name of the engineer is even known, so I’m pretty sure it happened. 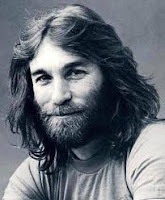 Dennis Wilson slept with some of the girls, but I am convinced that Neil Young did too. But here’s the obscure stuff: Alex Chilton met Manson, according to an interview I read. And I learned the other day that Sly Stone met him too, but wasn’t very impressed. I’m sure there’s other rock stars who met him, but would never admit it in a million years". One could easily dedicate an entire blog, to researching the history of Manson’s music, and recording sessions. In fact, there ARE such “Manson Music” sites, dedicated solely to researching and presenting Manson‘s music. Some are quite good, actually. The questions of where Manson recorded, when he recorded, and who recorded him… (and which albums those respective recordings ultimately landed on)… are subjects, I’ve never personally delved head-over-heels into. I’m not an expert on Manson’s music specifically. With that understood… here’s a few "fast facts"… and as always, my opinion. Credit card data indicates Manson called Universal Studios in North Hollywood on November 10, 1967. Slightly thereafter.… Manson attended Universal Studios in North Hollywood and recorded one (3-hour session) with an audio engineer named Gary Stromberg. 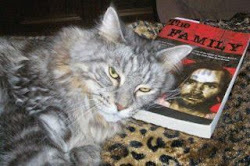 Stromberg was a mutual friend of Manson’s prison buddy Phil Kaufman. (information found on pages 20-21, of Sander’s book). In the summer/fall of 1968... Manson recorded in Brian Wilson’s home studio, in Bellagio. The engineer was Stephen Despar. Further recordings were cancelled, after Manson pulled a knife in the studio. "I’m sure there’s other rock stars who met him, but would never admit it in a million years". I (personally) believe that Manson likely met several prominent musicians. He was circulating at the right place, at the right time, with the right people. Terry Melcher, Dennis Wilson, Gregg Jakobson, Neil Young... these are big names. You can throw-in Gary Stromberg at Universal Studios, and Phil Kaufman. Wilson and Melcher discussed Manson with John Phillips (Mamas and Papas) at least once. 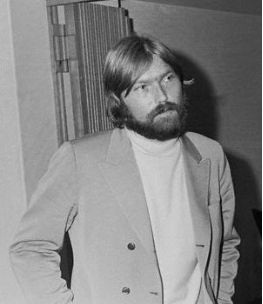 Phillips “passed” on meeting Manson… but at a minimum, he had heard Manson’s name. It’s also likely, that Manson interfaced with The Grateful Dead, at some point. The Grateful Dead were everywhere. They were the "house band" at many 60's California parties, both indoors, and out... with hundreds in attendance... not the least of which, were Ken Kesey and his "Merry Pranksters"... Hell's Angels... you name it. Manson LIVED with one of the Beach Boys, and recorded in their studio. Melcher (son of Doris Day) had been one of the music directors for the 1967 Monterey Pop Festival. Neil Young has been inducted into the Rock-N-Roll Hall of Fame TWICE… once with Buffalo Springfield, and once for his solo work. The idea that Manson may have interfaced with other musicians, is really not far-fetched. I'm not saying he DID... I'm saying... given the time and place... it's likely. That's just my humble opinion. Even Wavy's Hog Farm and the Spiral Staircase, must have hosted musicians from time to time. "I’m a defense atty in Washington state. I know Kasabian was in the pierce co. superior court, but I never crossed paths with her. The reason I’m emailing is that I’m curious if anything is known about the families travels in Washington and Oregon. Wiki says that the family came up to Washington, but I’ve never read anything about where they specifically went and what they did before going back to California". Spring-summer 1967 - “Manson made definite attempts to locate his mother, Kathleen. He secured permission from his federal parole officer to travel out of state several times. He once went to Washington, in search of her”. Kathleen died in Spokane, Washington, July 31, 1973. She is buried there. Her full name was Ada Kathleen, but she is buried under the name Kathleen as she went by her middle name. This information, lends credence to Sanders’ assertion. She had married a man named “Bower”. Gale S. Bower, to be exact. He served in the Navy during WWII, and operated a tire company. "Have you seen the footage of LS in Asbury Park from 77. It's amazing because you can specifically see who plays what. They seem to pass the solos down the line, starting with Gaines, then to Collins, then Rossington, then back to Gaines. I could never figure who played what until I saw it. Apparently there’s a ton of Pro Shot stuff that unreleased, including a show from CA from the Street Survivors tour, that someone is sitting on. A bunch leaked onto youtoob, then disappeared. Great stuff".